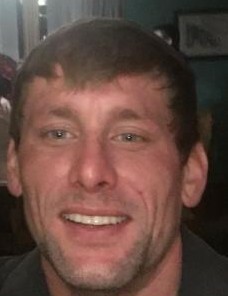 Jesse R Norman, age 38, of Batesville, passed away on February 3, 2019. Jesse was born on May 11, 1980 the son of the late Terry Norman and Kathy Horan. He grew up in the Osgood community and graduated from Jac-Cen-Del. Upon completion of high school Jesse entered the workforce. He spent several years working in the masonry field, with his last employer being Ollier Masonry. Jesse enjoyed reading, watching sports, playing cards, and playing games. He was always up for a good game of pool. He had a strong love and bond with his family. Jesse’s greatest asset was his huge heart and ability to always help out. Jesse is survived by daughter Ana White, son Kaden White, brothers Terry and Jason Norman of Osgood, Aunt Jill Wagner of Batesville, Uncles; John Horan, Brian Horan, Todd Norman, Ted Norman, and Tim Norman, Grandmas Jeannette Wagner and Barb Horan, along with numerous nieces and nephews. He was preceded in death by his parents along with grandpas Terry Wagner, Ted Norman, and John Horan. Friends and family are asked to gather on Saturday February 9, 2019 from 11-1 for visitation, with funeral services being held at 1 pm., all at Neal’s Funeral Home in Osgood.